Last month sony launched premium devices named as Sony Xperia Z and Sony Xperia ZL has switched onto the lower range of Android smartphones in terms of prices. The new mobile phone launched is named as Sony Xperia SP and it is the contender from Sony to compete with Samsung Galaxy S3. The hardware specifications of this phone are decent and let us talk about them now but the users with Samsung Galaxy S3 will have the advantage of compatibility of Facebook Home. With the screen size of 4.6 inches and with the resolution 720 x 1280 pixels it provides you the HD and very bright display and this screen is covered with corning Gorilla coating. The battery used on this phone is 2370mAh which is decent but it is further optimized by the Stamina mode of the Sony Xperia phone which increases the talk time for the users. The internal Storage capacity of the phone is 8GB (out of which only 5.8 GB is available for the users) which can be extended up to 32GB with the help of external memory slot provided in the phone. The primary camera is again a punch with the 8MP, support by Flash Light and features like image stabilization, HDR (commonly available on all the iPhones) and Sweep panorama. It has also got the feature of recording HD video as 1080p at 30fps. Secondary camera used on this phone is VGA (like all the other phones) and the operating system on which this phone operates is the Jellybean. Now talking about the power equipped on Sony Xperia SP, then it has got Qualcomm Snapdragon MSM8960 Pro which is a Dual Core processor in which the cores have been clocked at 1.7 GHz. This power on the processor is supported by 1GB of RAM. This phone is a single SIM phone and it will use micro-SIM for its operation. Camera: 8MP with HD recording and Flash Light support. Connectivity: Bluetooth, 3G, WiFi, Micro SD slot and 3.5 mm jack for the headsets. As of now users do not have the new choices of the phones in this price range even when you consider HTC One X or Samsung galaxy S3. So, Sony Xperia SP which is available at the price of 27,490 INR will be preferred by the users. 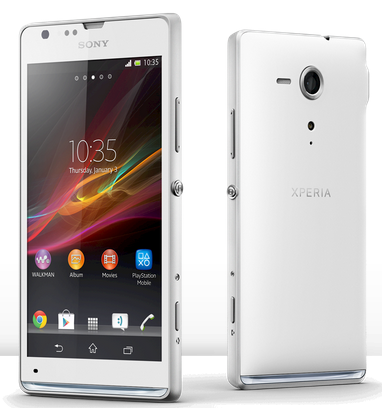 I am currently using Sony Xperia S and I am not such big Sony fan but looking at the other options I would have gone for this phone at this price.